This is the best book I’ve read in the past year by a long head. It’s very rare for me to say “I couldn’t put this down” though, in this case, I literally finished it in two long sittings. When I was a boy, in the ’50s, the best book on my father’s shelves was a large volume called Fifty Great Disasters & Tragedies that Shocked the World. 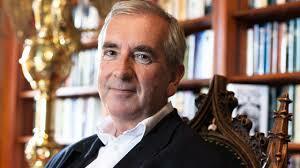 Tales of the Titanic, the Charge of the Light Brigade, the Black Hole of Calcutta. 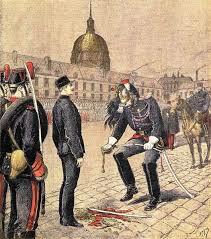 But the chapter that I came back to, over and over, was the one dealing with a certain Alfred Dreyfus. It was my first exposure to the potentially vindictive and conspiratorial nature of the State – albeit I probably wouldn’t have used those words at the time and the State in question was France, of course. Perish the thought that a British Government could have been capable of such dishonesty and anti-Semitic evil as the French dished out to Captain Dreyfus in 1895. But this is actually the lesser-known story of Georges Picquart, from the army’s Statistical Section, the intelligence unit that originally exposed Dreyfus as a spy and managed his trial. The result was a barbaric public humiliation of Dreyfus in front of a Parisian crowd, twenty thousand strong, shouting “Death to the Jew!” Dreyfus is shipped off to Devil’s Island and treated with savage inhumanity while Picquart begins to stumble across clues suggesting that all may not be entirely as it seems with the verdict. You sometimes have to pinch yourself to remember that the treatment of Dreyfus is factually accurate – and the same is true of Picquart’s journey to establish the truth. French novelist Émile Zola may have taken much of the credit for exposing that truth, but it’s Picquart – himself a somewhat conflicted character – who shines through as this tale’s true hero. 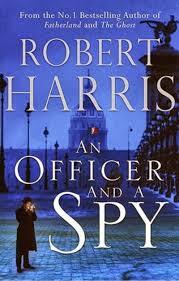 The book is beautifully written, even by the standards of Robert Harris. Historical fiction at its best.